Nutrition tailored to your personal goals. Whether you want to improve your body composition, enhance your performance, or boost your general health and wellbeing, I can help you achieve your goals with the best dietary advice for you. Training tailored to your personal goals. Whether you are a gym-newbie, a recreational exerciser or a serious athlete, I create a training environment that not only motivates but also empowers you to continually challenge yourself in a fun and rewarding way. Evidence-based, safe and personalised nutrition to improve your health and training capacity, reduce injury risk and optimise competition performance and subsequent recovery. I can help you achieve your personal best. After a five-year MSci degree, studying the complexities of human physiology and nutrition in sports labs, I couldn’t wait to put all I’d learnt into practice and work one-on-one with clients. Fast forward a few years, and this has developed into a true passion for my work as a Personal Trainer alongside my practice as a registered Sports & Exercise Nutritionist. I believe in the power of exercise and food to achieve optimal health, fitness, performance and wellbeing. And I can help you achieve your personal best, regardless of your level of fitness. Make no mistake: my evidence-based, personalised and wholesome food approach requires time and effort, but it’s also fun, motivating and will reap rewards. We are all genetically unique and should be treated that way. My evidence-based nutrition and training plans are tailored according to your goals, preferences, lifestyle and health history. It’s not all about training and nutrition. Other lifestyle factors such as stress levels and sleep all affect your different body systems. If you’re not sleeping well, how do you expect to recover and give it your best at training? I look at the bigger picture and adapt your nutrition and training accordingly. It doesn’t matter if you're counting calories or how many reps you do in the gym. Without a good foundation of health and proper technique, you simply cannot achieve and maintain optimal fitness and performance. I’m based as a personal trainer at the beautiful University of Glasgow (Stevenson Building). You don’t need to be a member to train with me at the University’s facilities but an extra £6 access charge applies if you’re not. Cheaper three-day passes are also available. If you prefer, I can also train you in the comfort of your own home or outside in a park. My nutrition consultations can be done in person or online via Skype. If you have a group, club or team that is interested in a health-related workshop, sport-specific nutrition workshop or anthropometric profiling, I’m certainly willing to travel at weekends and see more of the country. Please use the contact form and let’s chat further. How do I know if you’re qualified? 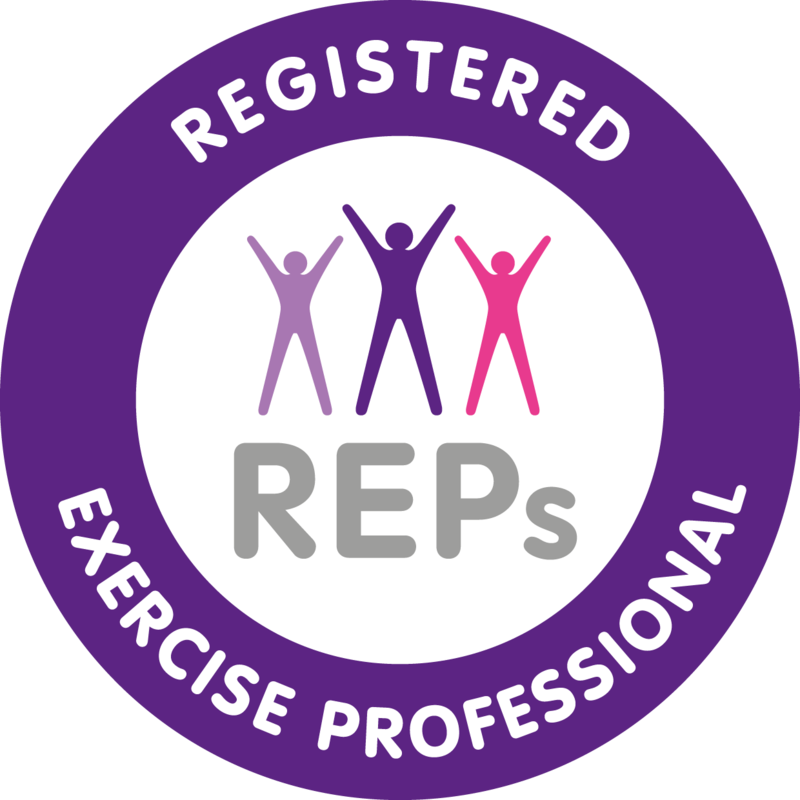 I’ve completed an Advanced Diploma in Personal Training and am registered on both the UK and EU Registers of Exercise Professionals. This means that I’m competent and qualified to UK and European standards to deliver personal training. I’m also a graduate registrant on the UK Sport and Exercise Nutrition Register, which you can visit at www.senr.org.uk for more information. The SENr, which is managed by the British Dietetic Association (BDA), is designed to accredit individuals with the required competence to work autonomously with athletes, from the elite to the exercising public. I’m also a member of the BDA specialist sport nutrition group. Besides needing a postgraduate-level qualification – for which I hold a first-class, five-year integrated Master’s degree in Physiology, Sport Science and Nutrition from the University of Glasgow – I completed a one-year internship in performance nutrition and podiatric biomechanics at the Sport Science Institute of South Africa. As a registered SEN, I must also be certified as a UK Anti-Doping (UKAD) Accredited Advisor, hold a food safety qualification, submit anonymised client portfolios for review, and undergo continuous professional development. I have an enhanced DSB Certificate, which means I’m cleared to work with all children and adults. Finally, for your peace of mind, being a registered personal trainer and SEN means I have professional indemnity insurance. Does a sport and exercise nutritionist work only with elite athletes? No, a sport and exercise nutritionist (SEN) works with both competitive and casual athletes. In fact, casual athletes – or the exercising public – make up the bulk of most SEN practices. So whether you have your sights set on being the next Andy Murray or want to implement the best nutrition strategies for your next 5km park run, I can help you achieve your personal best. We can’t all be champions, but helped by sensible dietary advice, we can all strive to steadily improve, set new PBs, and look after our health. And, if you’re a more serious athlete, I can help improve your health and training capacity, reduce injury risk, optimise competition performance and aid recovery. What happens during a one-to-one nutrition consultation? Before our consultation, I will send you a questionnaire and a client form by email and ask you to complete a 3-day food diary and a training diary to fully understand your personal goals and needs. During the consultation, we will dig deeper into your health history and discuss a range of topics – your current eating habits, lifestyle, work situation, sport and exercise activities, any medical conditions, etc. – and take a realistic look at how your goals can be achieved. You will receive a detailed report with recommendations and a follow-up consultation is normally scheduled to ensure that you are happy and heading in the right direction. I want to bulk up fast. What supplements would you recommend? None, simply because I cannot comment without a thorough consultation first. What I can tell you is that supplements are no substitute for a poor diet, inadequate training or lack of sleep. Nor are they essential usually, but they can correct nutritional deficiencies and enhance strength and muscle gains, if used correctly. Supplements need to be chosen carefully, taking account of an individual athlete’s goals, and after an evidence-based, decision-making process that looks at safety, cost-effectiveness, and whether or how a supplement actually works. As a UKAD-accredited advisor, I can help you avoid inadvertent doping in that process. Supplements can only support a foundation that is already in place, namely proper nutrition and hydration. This is why a consultation is essential, with follow-ups to consider your individual response to any supplement plan I might suggest. What does a body composition assessment entail? As an ISAK-accredited anthromopotrist, I will use a set of quantitative techniques for your body composition assessment. These tests are non-invasive and my mobile laboratory can also be set up at most locations. After precisely measuring, recording and analysing specific dimensions such as your skinfold thickness and bodily circumference at the waist and hip, you will receive a detailed report. My report will look at the optimal muscularity and body fat composition you should aim to achieve for your sport and exercise regime, always with the focus on remaining within healthy limits. These baseline measurements will be repeated at agreed intervals, ideally while you are following a personalised nutrition plan, to keep track of your progress and make any necessary adjustments to help you reach your goals. Yes, I do both health-related and sport-specific nutrition workshops. I always try to make them as interactive as possible so you’re not sitting down and listening to me talk for an whole hour! It’s pretty relaxed too. I design each workshop differently depending on the goals of your group, club or team. I also offer group discounts for personal training and nutritional consultations. As a UK Anti-Doping (UKAD) Accredited Advisor, my fee also includes being your club or team’s point of contact for anti-doping matters. I’m a student and can’t afford your fees. Do you offer a student discount? One question: what did you spend at the Student Union last night? Just kidding, I know what it feels like to be a cash-strapped student. I also understand how overwhelming it can feel to move away from home and suddenly have to fend for yourself, including in the kitchen. I have a keen interest in student health and wellbeing, especially in helping students into sport and exercise with the right tools and information. To answer your question, I offer student discounts. Please contact me to find out more. Interested? Click the link below to find out more.